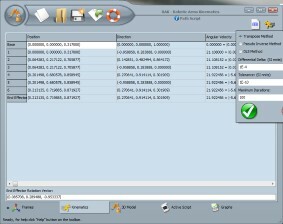 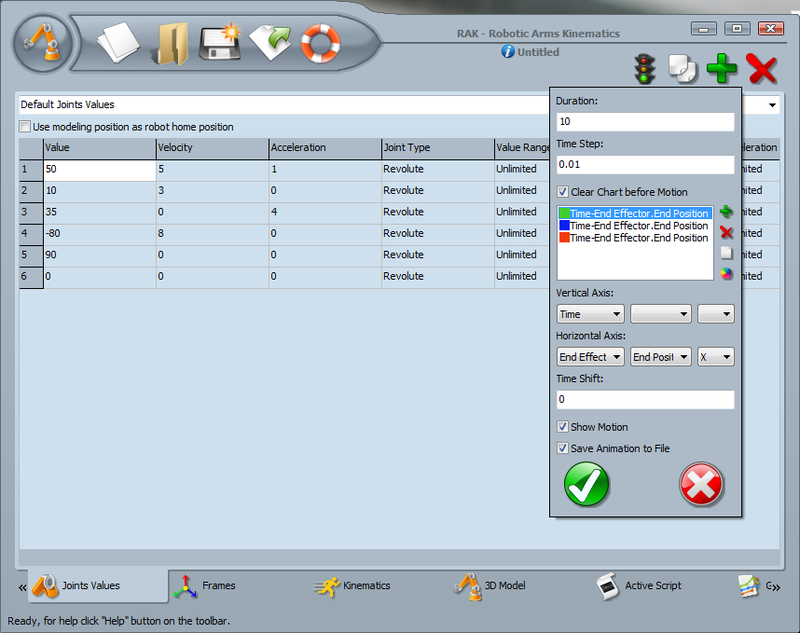 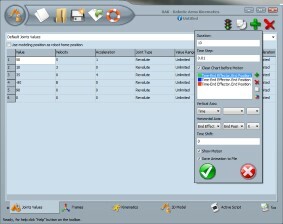 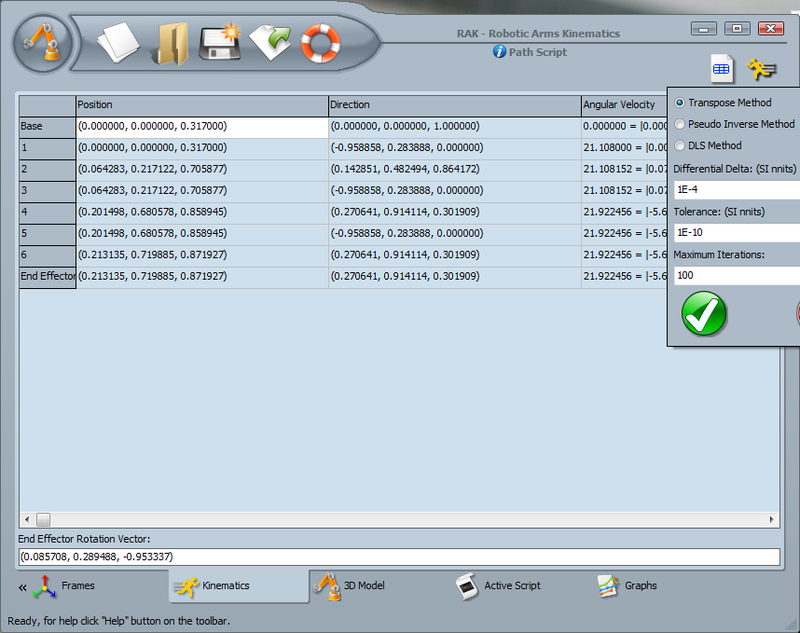 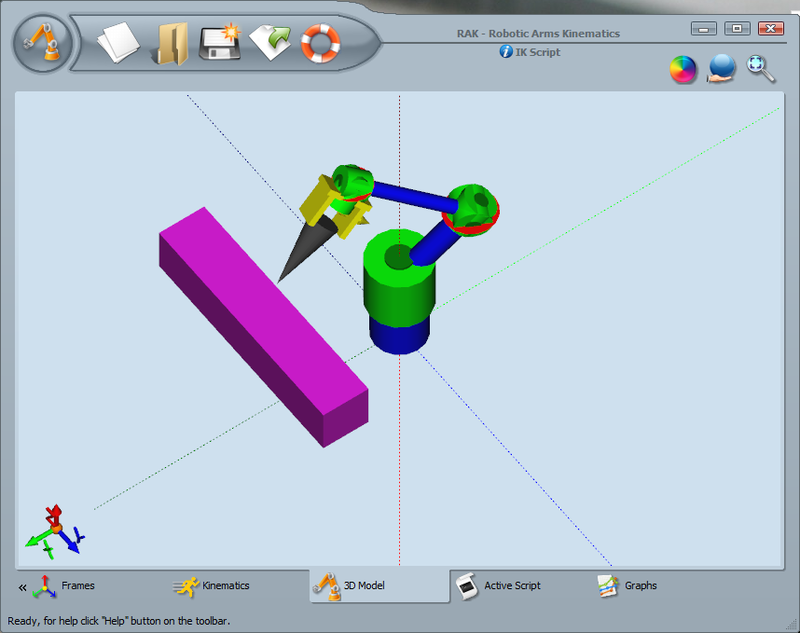 RAK is a computer program to model robotic arms and calculate their kinematics. 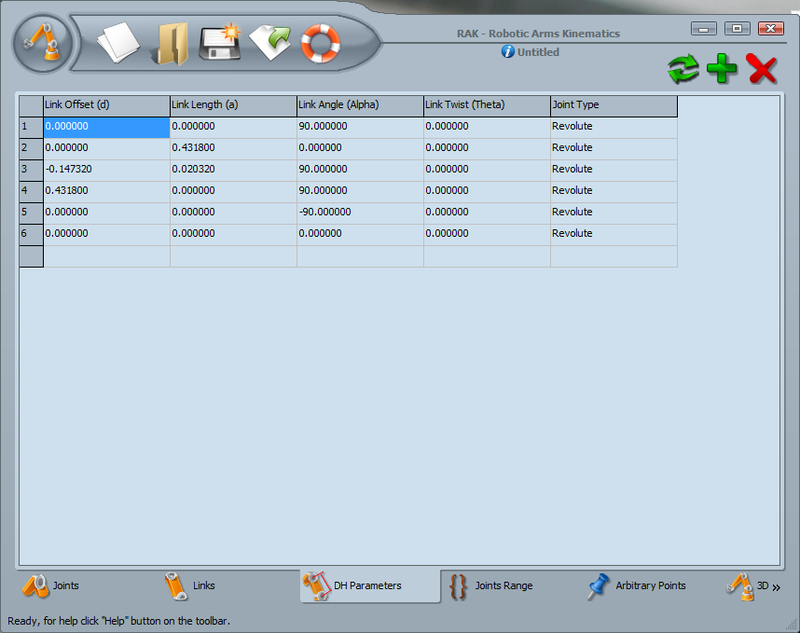 This program can simulate open loop, single chain robots. You can model a robot by its joints positions or Denavit-Hartenberg (DH) parameters. 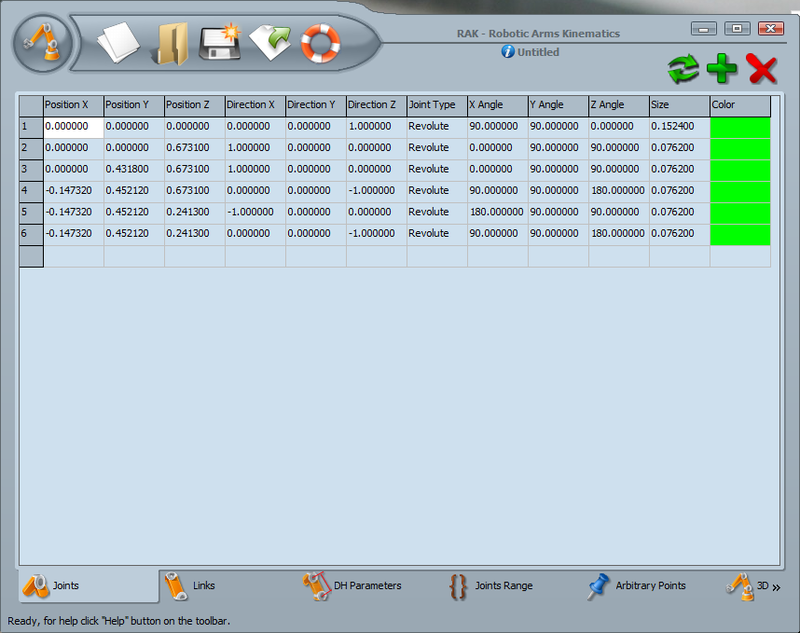 You can calculate the kinematics and inverse kinematics of the robot by this program. 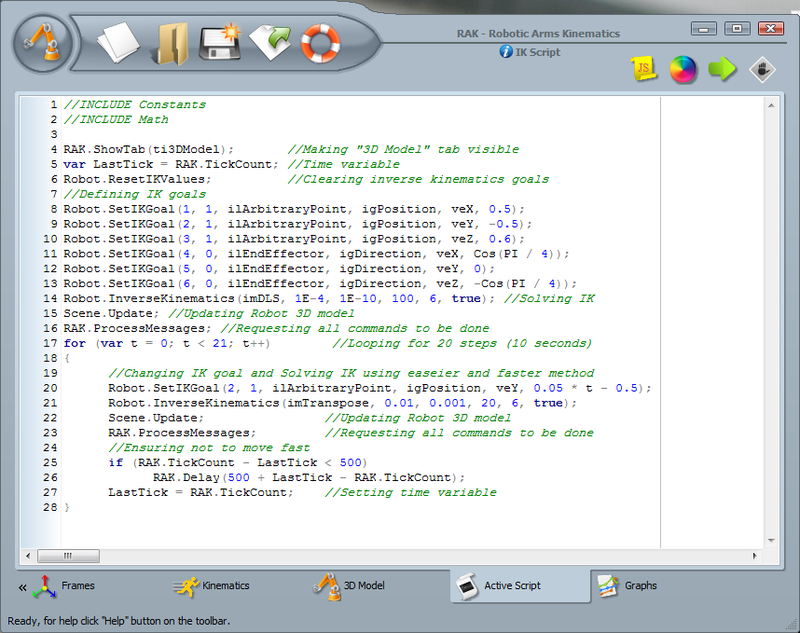 There is also a programming area to write programs and control real robots.